A Colombian immigrant in London discovers he may possess supernatural powers. 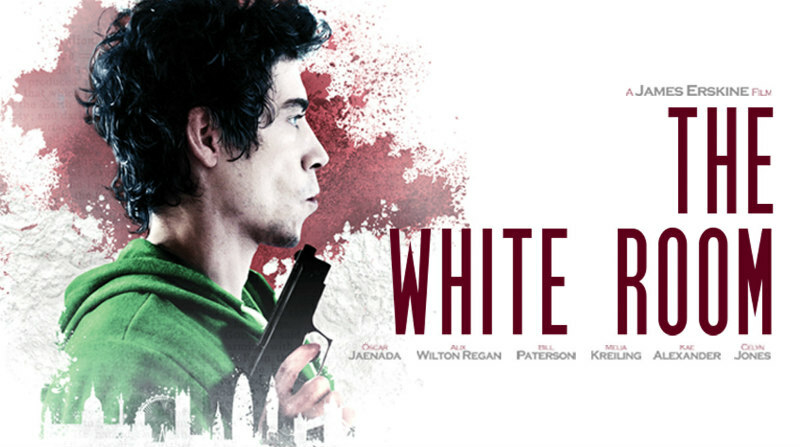 Setting its present-day politicised tone early, British drama The White Room opens with real-life news footage which specifically relates to the recent western swing towards right-wing policy and its, um, colourful representatives. In a near apocalyptic montage we see Trump banging on about his ridiculous wall, Le Pen with her hard line on immigrants and last (and probably least) Britain’s very own Mrs May expounding that ‘Brexit means Brexit’. So, we’re bang up to date with the socio-political landscape - or are we? In this dizzying era of accelerated uncertainty, The White Room's composition of conservatism is already slightly old hat - as I write, France has long since kicked Le Pen into touch, and May is patching up her minority vote by courting a fringe ticket who are against everything from gay marriage to Rihanna running about in a field with her kit off. Who knows what other upsets will have occurred by the time this is published! May we live in interesting times, indeed. 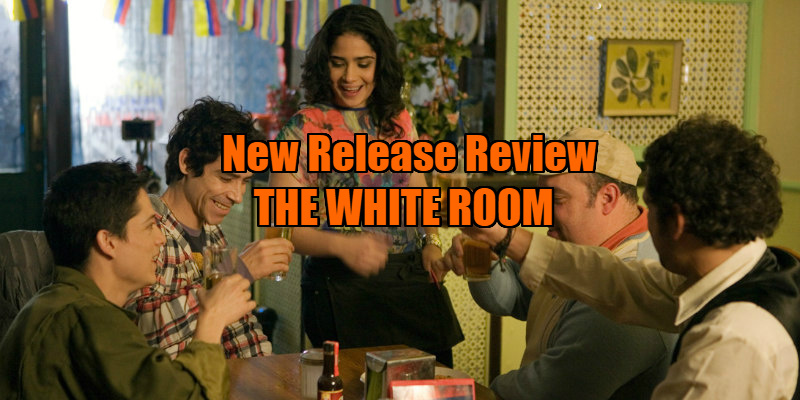 While its opening may be unfortunately passé, The White Room is nonetheless an authentic reflection of this tumultuous era otherwise, an earnest and assiduous picture of a London which is fragmented and caught up in a socio-political tornado. We follow Alberto (Oscar Jaenada, a Hispanic Ben Wishaw), an illegal Colombian immigrant, as he ekes a living in post-referendum London. Sending money back home to his ‘hometown chica’ and his sick mother, Alberto is shy and unassuming, another anonymity within the reclusive capital. London is a city of millions, but within these crowds, connections are spread thin and isolation is often manifest; as Alberto’s Bosnian pal ruminates, the city makes one ‘dream of dangerous things’. Alberto finds work in a (legit) massage parlour, where his healing hands are put to good use relieving the muscle stress of this tensed up town. But as he negotiates the underground communities of the boroughs, Alberto begins to believe that he has another gift: that of a vague but insistent clairvoyance. Upon the exposed flesh of his customers, he envisions odd birth marks which inspire ominous visions. In a world where the future is locked out and anyone’s guess, could Alberto hold the key to tomorrow? Alberto’s occupation has metaphorical suggestion: he is up close and personal with his clients, with other people, but also completely removed; these ultimate strangers don’t even look at Alberto as he pummels their arms and legs. Writer/director James Erskine has a background in documentary (including the interesting Pantani: The Accidental Death of a Cyclist), and in this ripped from the headlines drama there is a clear sense of purpose, a dedication to the film’s subject matter of alienation and city living. Erskine deftly creates a milieu of estrangement with his camera; filming in reflections from mirrors and other tarnished surfaces, distorting Alberto’s world with progressively oblique angles. His London is grimly convincing, realising the churning energy of this incredible, overwhelming city; a labyrinth of back streets, grimy shop fronts that boast CASH4GOODS and FAX, and always people, people, people, forever in perpetual hurry. In a provocative decision, Erskine keeps the actuality of Alberto’s ‘gifts’ ambiguous; what may well be mere coincidence is intensified by the character’s increasing isolation and correlative immersion in religious texts and other conspiracy favourites, such as the prophecies of Nostradamus. In a sense, Alberto becomes radicalised, expounding that if ‘it is in the Bible, it can’t be heresy’ and, when he is at his most desperate and confused, arguing that ‘no one believed that the Messiah was the Son of God either’- now steady on, Alberto! Alberto’s decline from polite immigrant to dazed and potentially violent fanatic is not only contemporary but worryingly plausible, and The White Room’s edgy blend of Cassandra myth and Taxi Driver provides an intriguing urban fable for our interesting, upheaved times. The White Room is in select UK cinemas June 23rd.